WELCOME TO THE MINING RECRUITMENT GROUP. FORMED IN 2006, WE ARE AN EXECUTIVE SEARCH FIRM THAT IS FOCUSED ON THE UNIQUE NEEDS OF THE MINING INDUSTRY. WE ARE COMMITTED TO MATCHING THE BEST MINING PROFESSIONALS WITH RESOURCE COMPANIES WHO WONT SETTLE FOR ANY LESS. Despite the current market unrest within the sector, the war for top talent rages. With 39% of mining executives planning to retire from full-time employment within the next four years and less than 1/3rd of resource companies having any sort of succession planning in place, the Industry as whole will face a demographic tsunami the likes of which have never been seen before. It is in bear markets where our value proposition is most pronounced. When commodity prices plateau, so too does any room for error and having the right management in place is often the difference that makes the difference. Those who partner with a firm such as ours, that understands their business, will secure and retain the best and brightest. Since our establishment, The Mining Recruitment Group has become The leader in executive search for emerging junior and mid-cap mining companies. 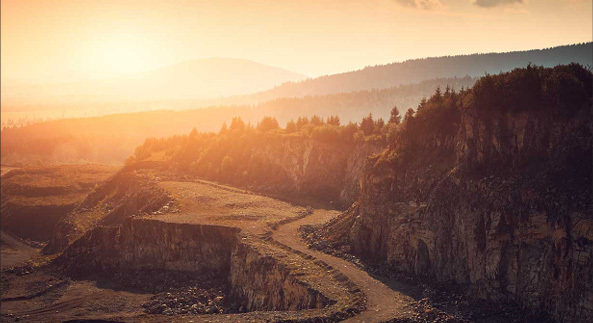 We have advised some of the most prominent resource companies on the planet and maintain a worldwide network of mining executives that can be matched to suit our Clients’ needs. Since inception, we have advised companies ranging in size from $5M to $100B in market cap and have been involved in successful searches spanning all senior executive and functional leadership positions within the mining industry. Our track record and involvement with high-profile searches and Client turnarounds has garnered us regular publicity on a national scale. The Mining Recruitment Group combines the best of executive search practices in terms of thoroughness of search process with the speed, savvy, and personal attention required by rapidly growing resource companies. Our value to clients begins with four important differentiators—boutique service; sector expertise; leadership focus; and an innovative model that allows Clients to pay for and reap only the benefits they require for any search process. Our mission is to craft a legacy built from the continuous growth and improvement of our clients, candidates and families. We invite you to partner with us in this ongoing endeavour. Signup to receive our weekly MRG Mining Minute Newsletter, which tracks executive and board changes across the Canadian Mining sector. ANDREW POLLARD IS CONSIDERED ONE OF THE NATION’S LEADING EXPERTS IN THE FIELD OF EXECUTIVE SEARCH WITHIN THE MINING SECTOR. Advising both public and private companies, Mr. Pollard has been involved in successful searches spanning all senior executive and functional leadership positions within the mining industry. Founding the Mining Recruitment Group in 2006, Pollard brought with him a thorough understanding of the mining market in Canada and an expansive network of power players from within the industry. Pollard’s complete commitment to client service, reputation for thoroughness and his wealth of industry knowledge is demonstrated by his many repeat clients. Recognized as an industry authority within the field of recruitment and retention of executive personnel, Mr. Pollard has made many appearances on BNN and has presented at key mining focused conferences including Mines & Money. He is often quoted in publications such as The Financial Post, Bloomberg, The Vancouver Sun, The Calgary Herald, Business in Vancouver and regularly contributes articles for trade publications such as The Northern Miner. He has been recognized for his professional achievements by BCBusiness Magazine whom awarded him as part of their Top 30 Under 30. In addition to running his own firm, Andrew Pollard has also been called upon to consult for other executive search firm owner/operators to provide pragmatic advice on Industry best practices and develop strategies geared towards operational effectiveness. Our mission is to contribute to our clients’ success by identifying men and women of uncommon ability and potential…individuals to whom our clients might not otherwise have access. Our clients entrust us with some of their most important, sensitive, and confidential management issues. We repay this trust by putting their interests above all else. We focus on the details, leaving you to focus on your own business. THE MINING RECRUITMENT GROUP IS HAPPY TO ANNOUNCE THE LAUNCH OF ITS INTERNAL RESOURCE FOCUSED INVESTMENT FUND. The MRG President’s Fund will be established to take key positions within our executive search clients, up to and including 100% of our fees generated. Given the size and nature of our typical deals, this can amount to significant positions within our “partner” clients.